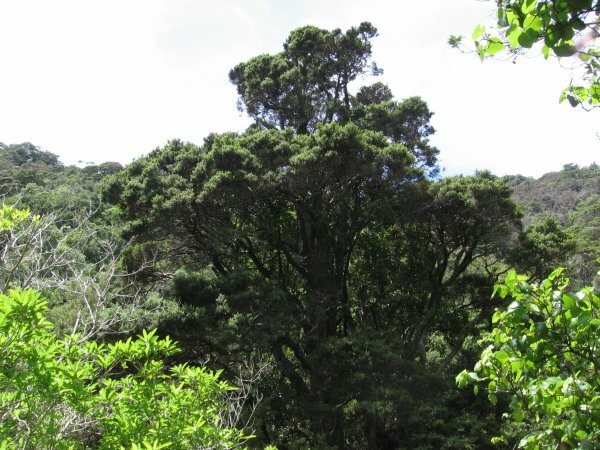 A very large totara situated in a steep gulley at Happy Valley Adventures, Cable Bay. 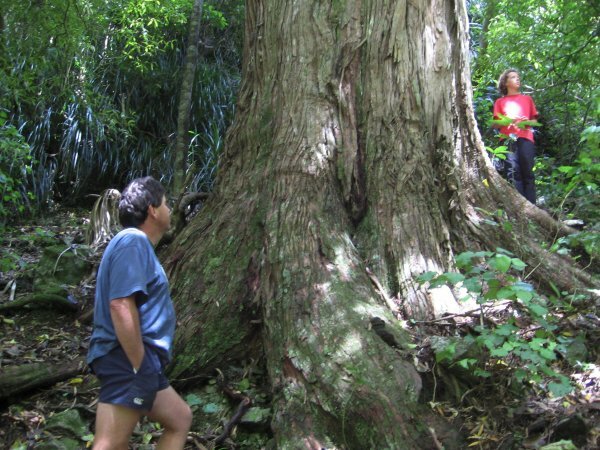 The tree is a survivor of the early burnoffs of the Cable Bay bush that took place the mid 1800's (Cadwallader, B. 2010). A very difficult tree to measure from the ground. The top and bottom are not able to be sighted from one location so composite readings were taken. Taken from near G.L on the high side. The tree is growing on very steep ground. Mid-slope is approximately 2m below the high side. 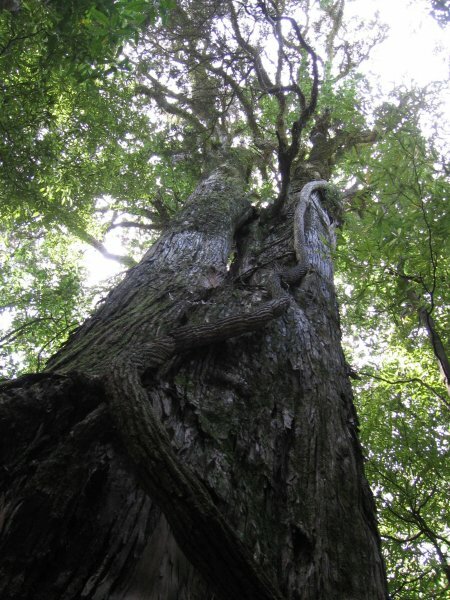 The tree divides into two similar sized stems at two metres. 23 Dec 2010 Cadwallader, B.G. & Gordon, L.R.